New York state based The Erotics have released a video for their song “We’re Never Alright” from their latest EP of the same name. 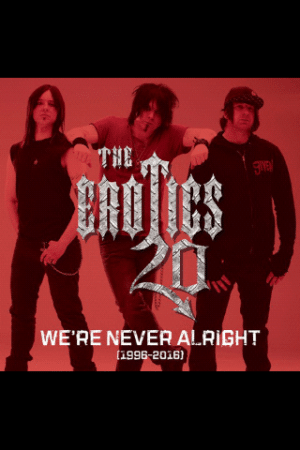 The Erotics‘ We’re Never Alright EP can be ordered from the group’s website. A New Sleaze Rock Anthem For 2016, Celebrating 20 Years Of Filth From The Erotics!!! Digital ONLY at Cdbaby…. Cd single ONLY available at our website www.eroticrocknroll.com, Cd single includes unreleased bonus tracks from 1996!! !